Hotel Novecento, a small charming 4-star hotel equipped with seven wonderful rooms enriched with modern comforts. We have got a Junior Suite, two De Luxe, three Superior, a Classic Room, a Triple Room and a De Luxe Single Room. Elegance and simplicity distinguish every room and the ornamented suite. Through careful planning, we were able to conserve the original position of the rooms typical of the end of the 19th century as well as the vaulting ceilings covered with early 20th century paintings. In some places, the use of stone walls underlines the link between the hotel and local tradition, while the materials employed inside the rooms have a modern trend: grès, glass mosaic Bisazza’s work and boiserie in oak wood for the bathrooms. 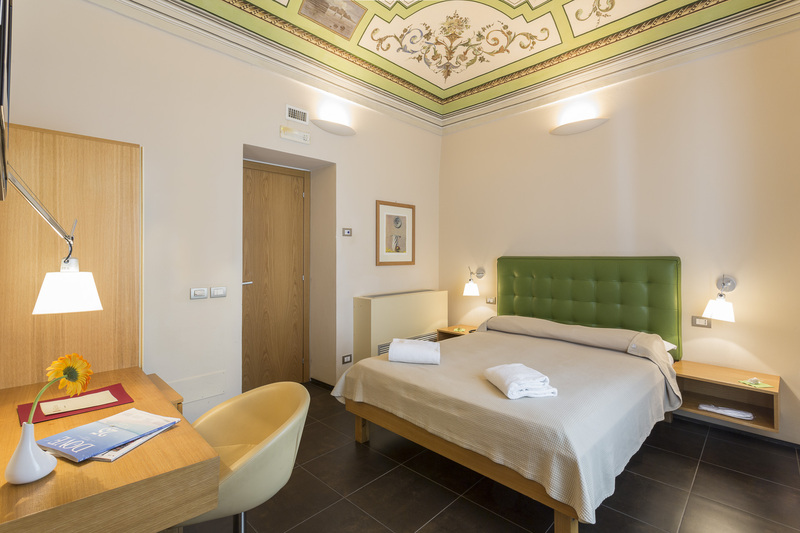 The walls of the rooms have been enriched with valuable works of art the Scicli Group (Guccione, Sarnari, Polizzi, Candiano), that portray the 20th century through paintings and sculpture. 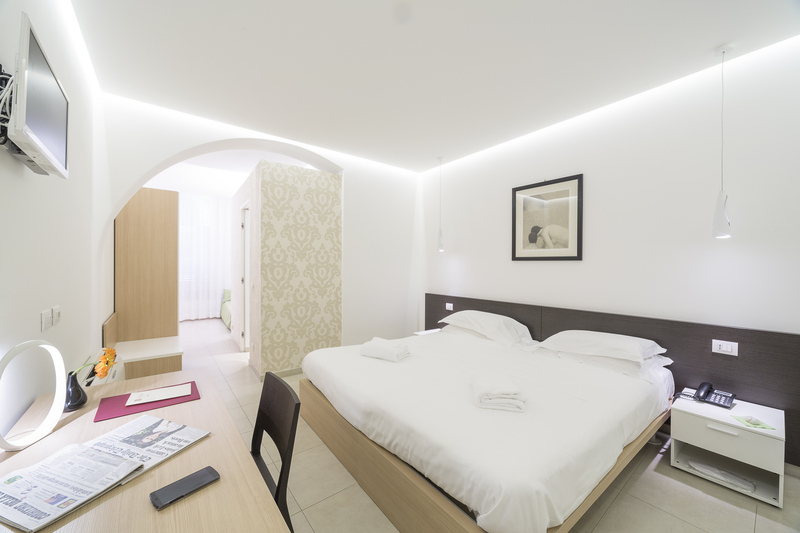 The rooms are designed in a way that combines different styles of the 20th century from Liberty to the great Bauhaus. Spacious double room, it can be added of a third bed and it has got a direct access to breakfast room, to Cafè ‘900 and to the palace garden, where you can have a peaceful reading. Silent double room enriched with all the comforts you need: mini-bar, Internet Wi-Fi, SKY service, strongbox and many other things studied to make every moment of your stay unforgettable.. Spacious room with fresco paintings on the ceiling, a balcony which appears to the inner garden and enriched with all the modern comforts: SKY, mini-bar, Internet Wi-Fi, newspaper in room. Silent double rooms with fresco paintings on their ceilings, panoramic sight upon S.Matthew hill and upon historical centre, enriched with all the comforts you need: linen sheets, bath robe, mini-bar, Internet Wi-Fi, SKY service, strongbox and many other things studied to make every moment of your stay unforgettable. Splendid apartment enriched with modern comforts and romantic nuances that will make your stay truly unforgettable. The suite was created from the antique “Salone Rosso” and today enriched with works of art of important contemporary artists. The Suite’s vault features a complete original fresco painting. 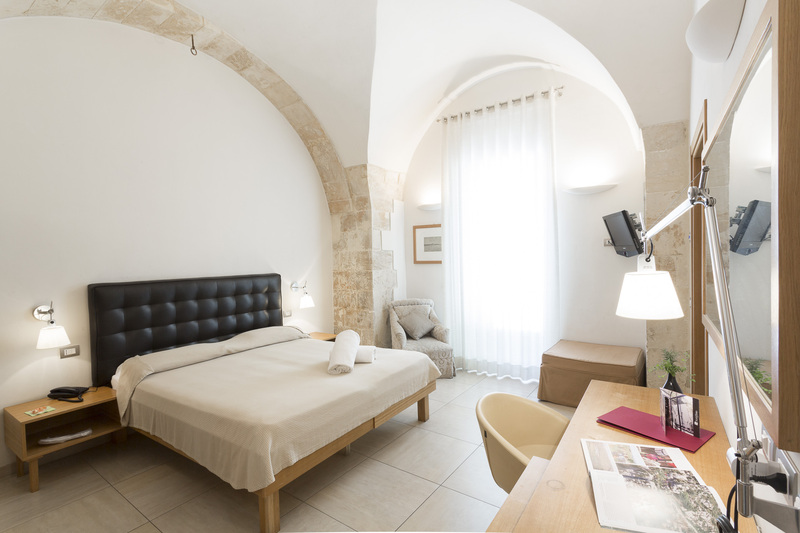 From the suite you can also appreciate an awe-inspiring view of the historic center, antique stone river bed, and catch a glimpse of San Matteo, the beautiful church overlooking the old baroque town.